MONDAY, Feb. 27, 2017 (HealthDay News) -- Getting regular exercise and staying slim can lower the risk for an especially hard-to-treat type of heart failure, new research shows. This specific type of disease is called heart failure with preserved ejection fraction (HFpEF). Ejection fraction is the amount of blood that's pumped out of the heart. In many people with heart failure, the heart is so weak that it doesn't pump enough blood out of the heart to meet the body's demands. In HFpEF, the heart muscle becomes stiff and doesn't fill up with enough blood. This causes fluid to build up in the lungs and the body, the researchers explained in a news release from the American College of Cardiology. "We consistently found an association between physical activity, BMI [body mass index] and overall heart failure risk," said study senior author Dr. Jarett Berry. BMI is a measurement of body fat based on height and weight. "This was not unexpected," Berry said, "however, the impact of these lifestyle factors on heart failure subtypes was quite different." Berry, of the University of Texas Southwestern Medical Center in Dallas, is an associate professor in the department of internal medicine and clinical sciences, and director of cardiac rehabilitation. HFpEF accounts for up to 50 percent of heart failure cases. Treatment for the condition often doesn't work well, which increases the importance of prevention strategies, the study authors said. For the report, Berry and his colleagues reviewed information from three previous studies that included more than 51,000 people. The researchers excluded anyone who had heart disease when the studies began. 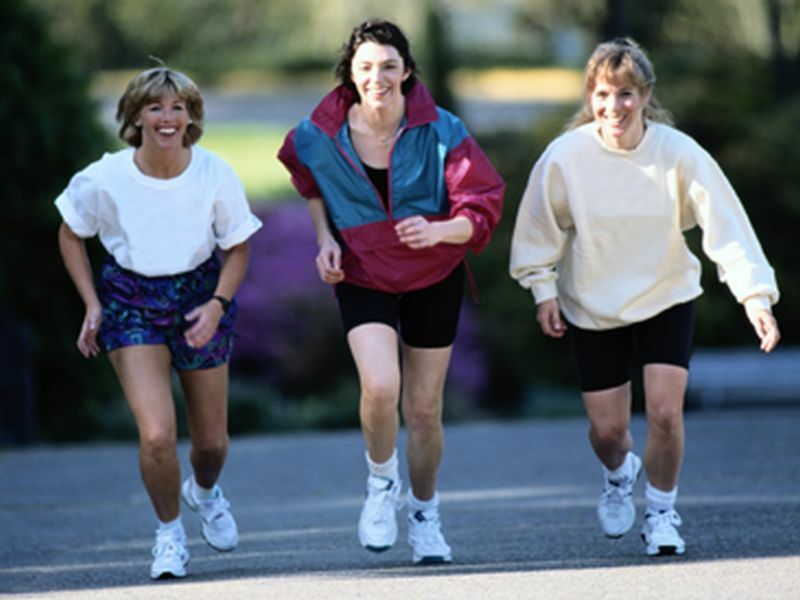 The investigators looked for information on how much exercise the participants got, as well as their weight. In addition, the researchers reviewed participants' medical records to see if people had been admitted to the hospital for heart failure over the several years of the study. The study authors found that traditional risk factors for heart failure -- such as high blood pressure, diabetes, smoking and obesity -- were less common among those who were more active. People who exercised more tended to be white, male and have higher levels of education and income, the findings showed. Meanwhile, people who carried more excess weight were younger, less active and were more likely to have risk factors for heart disease, according to the report. Overall, the researchers identified almost 3,200 cases of heart failure. Almost 40 percent were HFpEF. Nearly 29 percent were heart failure with reduced ejection fraction (HFrEF), which is associated with weak heart muscle that doesn't pump properly. And just under 32 percent were unclassified. The study doesn't prove a cause-and-effect relationship, but low levels of physical activity were associated with a 6 percent lower risk of heart failure than no physical activity. Those who got the recommended amounts of exercise had an 11 percent lower risk of heart failure. In people who got more than the recommended amounts of exercise, the risk of HFpEF was reduced by 19 percent. In addition, the incidence of HFpEF was significantly higher among those with excess weight, the findings showed. According to the study's first author, Dr. Ambarish Pandey, "These data suggest the importance of modifying lifestyle patterns to help prevent HFpEF in the general population." Pandey is a cardiology fellow at the University of Texas Southwestern Medical Center. The study was published Feb. 27 in the Journal of the American College of Cardiology.